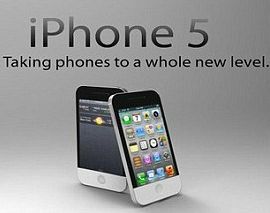 While the race between Samsung Galaxy S-III and Apple's forth coming iPhone 5 intensifies, there is an "Advance demand" for Apple's next iPhone is at an all-time high, said a research firm today, predicting huge sales later this year for what most have dubbed the "iPhone 5." A survey of more than 4,000 North American consumers by ChangeWave Research showed a record enthusiasm for Apple's next-generation smartphone, with nearly a third saying they were likely to buy one. "Advance demand for the 'iPhone 5' is strikingly higher than we've seen for any previous iPhone model," said Paul Carton, ChangeWave's vice president of research, in an abbreviated report sent via email.